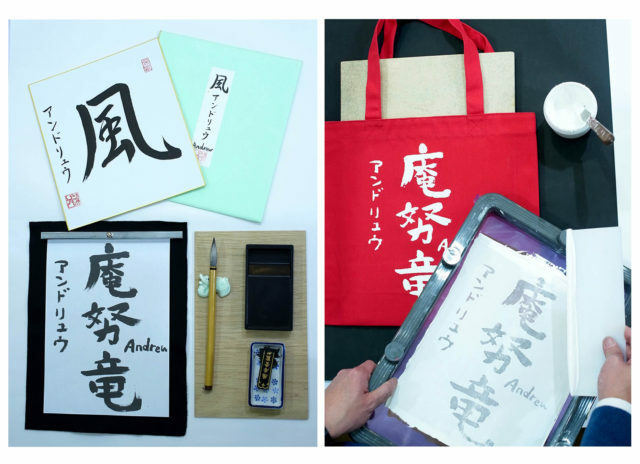 [WORK SHOP] Make a one-of-a-kind Item with Your Name in Japanese! 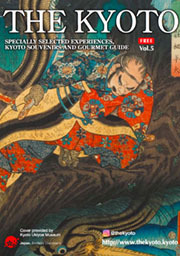 It is guided by “THE KYOTO (GOURMET&SOUVENIR GUIDE)”! You can experience writing your favorite kanji char acter on a card(left),or putting your name on goods you bought(right).This is possible with one person without a reservation. 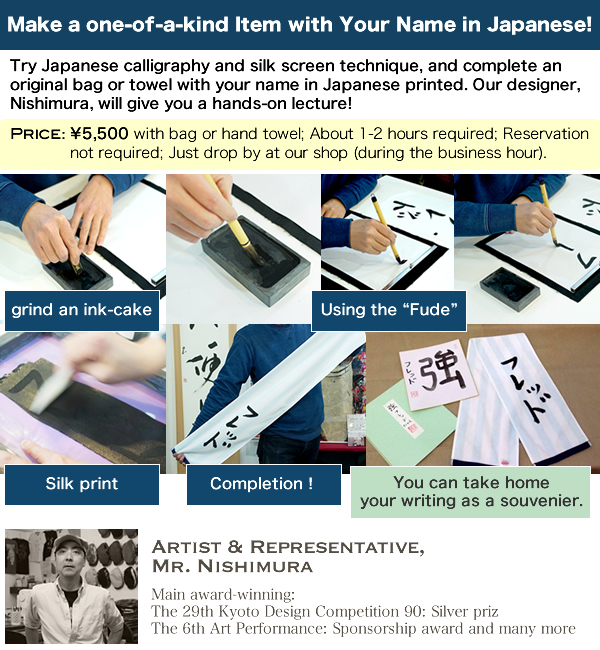 [WORK SHOP] Make a one-of-a-kind Item with Your Name in Japanee! 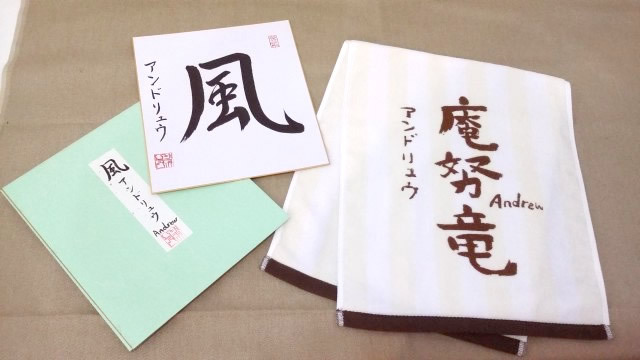 Try Japanese calligraphy and silk screen technique,and complete an original bag or towel with your name in Japanese printed.Our designer,nishimura,will give you a hand-on lecture! 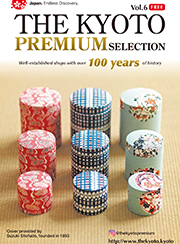 Welcome to Kyoto JAPO-RHYTHM! 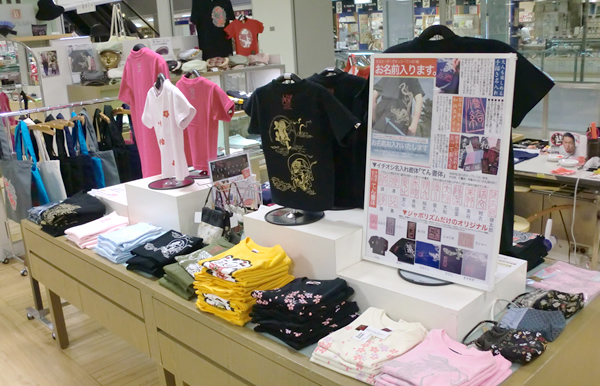 Let’s experience Japanese culture here! 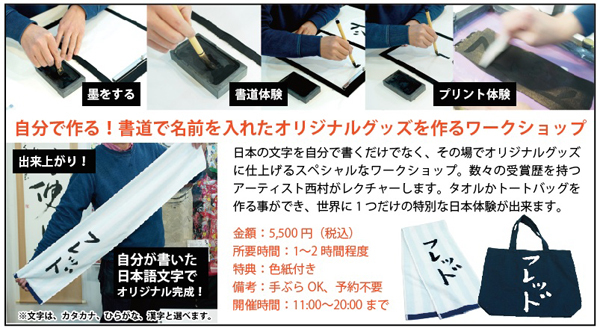 Make a one-of-a-kind Item with Your Name in Japanee!